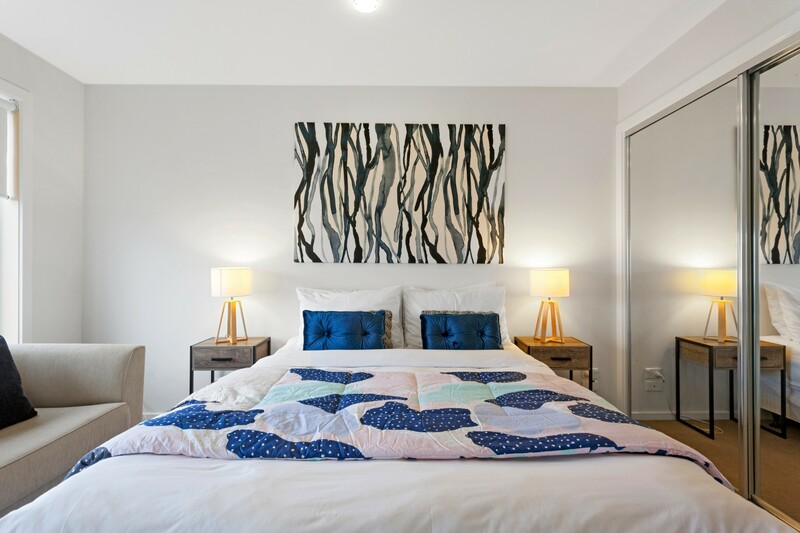 Conveniently located in the heart of Brunswick, this spacious artsy apartment has two bedrooms and one bathroom to easily accommodate up to four guests. The open-plan living area has an abundance of natural light from windows and patio doors that lead out to the private furnished terrace. 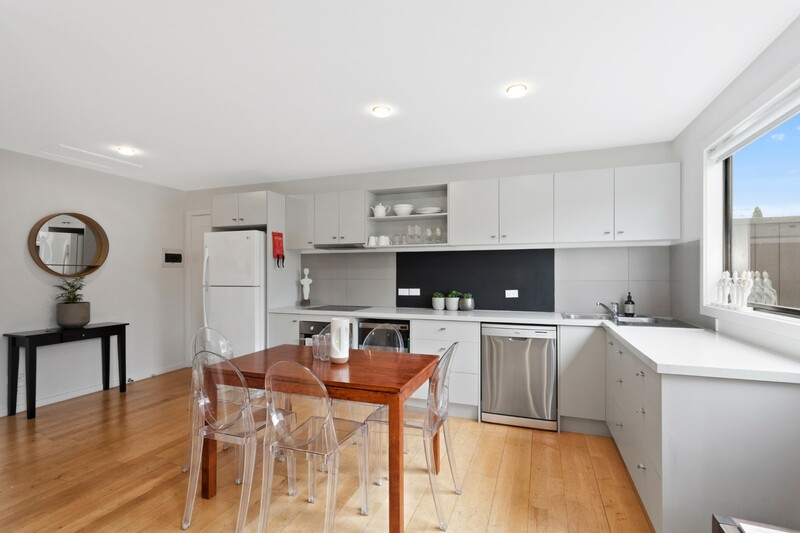 Stylishly designed with tasteful red accents to add a wow factor, this Melbourne rental apartment is comfortably furnished with light wood flooring. 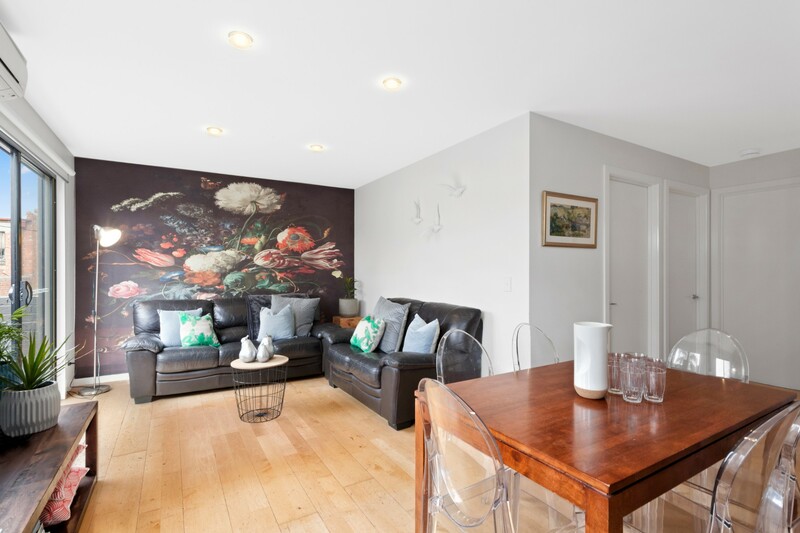 Ideal for short-term rentals, this attractive apartment is on the second floor of a building that houses a range of individual art studios used by painters, a dressmaker, graphic designers and professional artists. 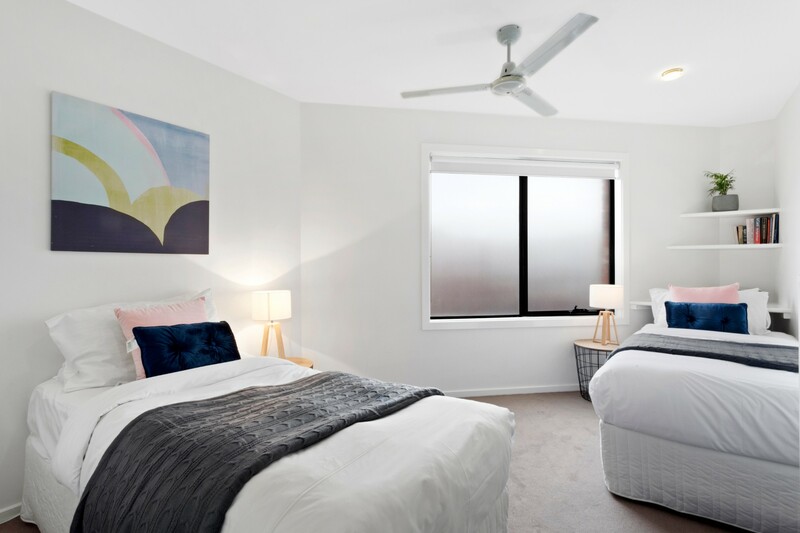 Just 50m from local shops and eateries, this contemporary rental property is just 4km from Melbourne’s CBD. 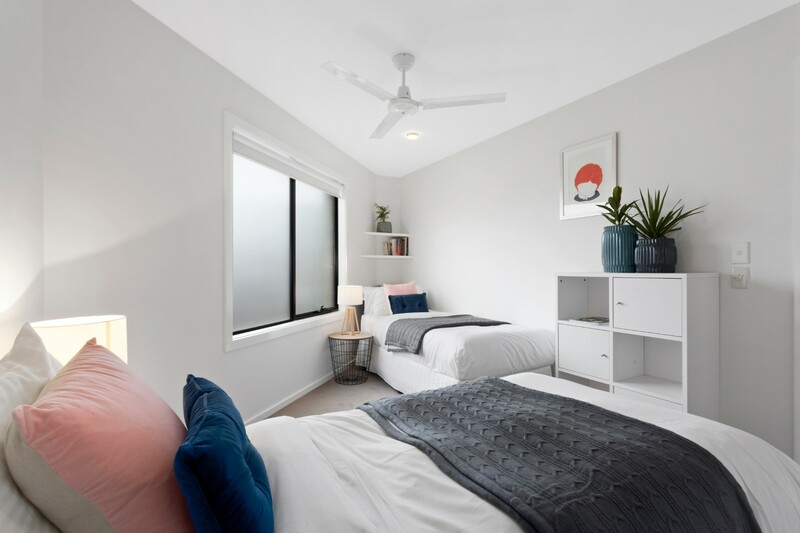 This light, bright apartment has light wood floors and tasteful white décor with the odd splurge of primary colour to provide a contemporary statement. The open floor plan flows from the corner kitchen with dining table and chairs through to the comfortable living area with storage and matching sofas grouped around a coffee table and wall-mounted TV. 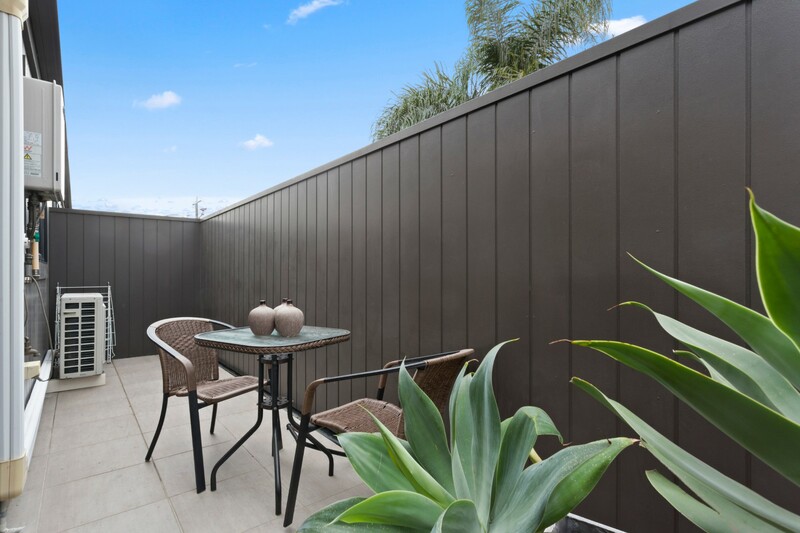 Patio doors provide ample natural light and open onto the private outdoor terrace. 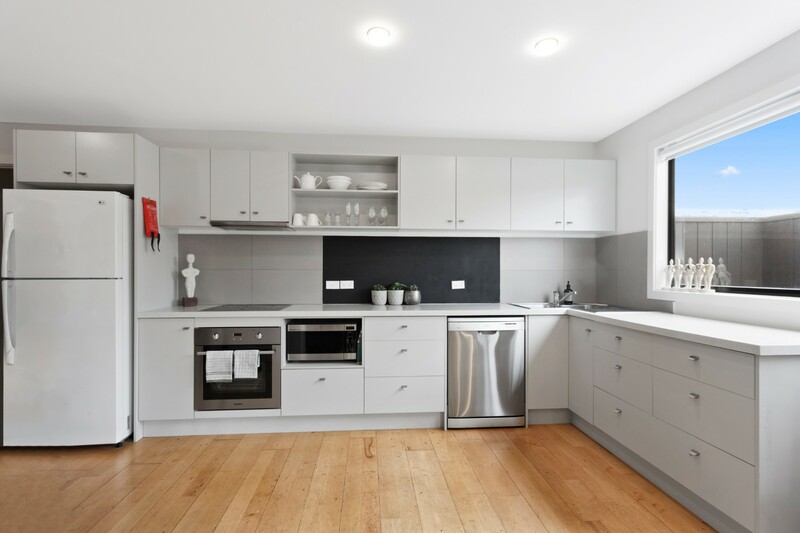 This spacious apartment rental in Melbourne has a modern fully-fitted kitchen with a range of storage units, dishwasher, oven, microwave and fridge-freezer. 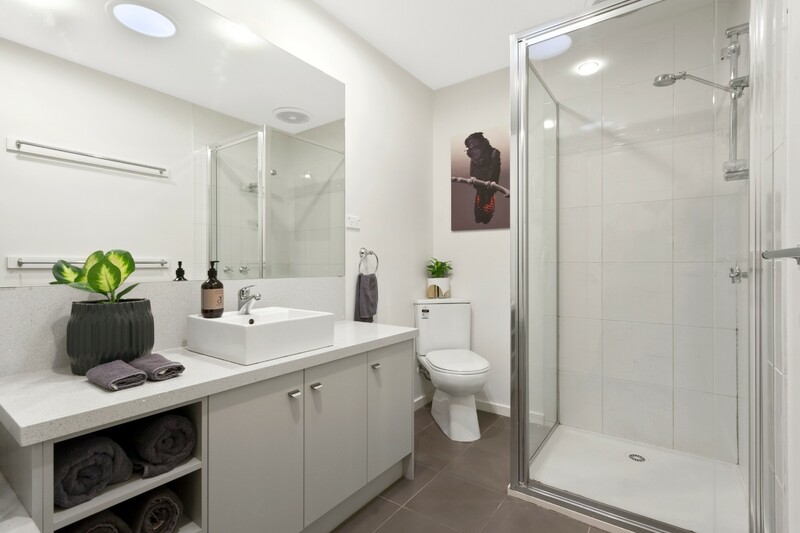 The modern bathroom includes a glass shower and vanity with sink and mirror above. 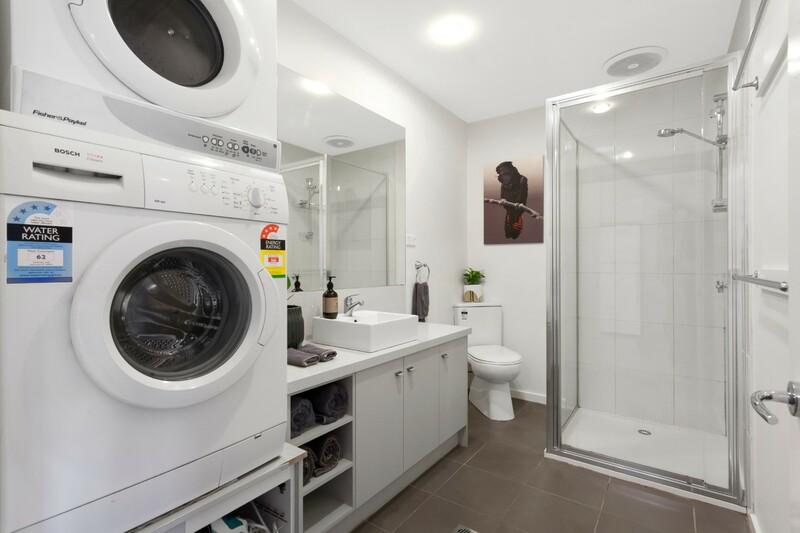 It also houses the washing machine/dryer combo. 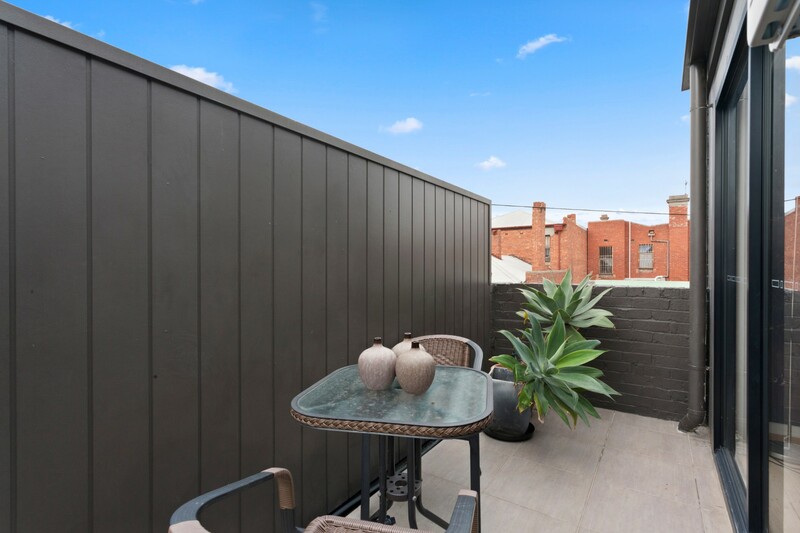 This contemporary apartment rental in Brunswick offers a pleasant outdoor terrace furnished with table and chairs for casual alfresco dining. There is one off-street parking space available however it is shared by three apartments and the studios downstairs and can not be guaranteed. Further parking is available on-street and is metered until 6pm. 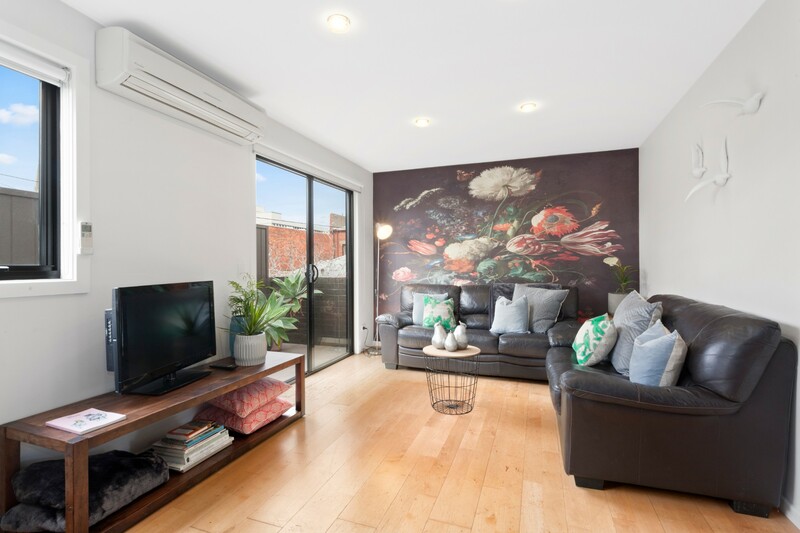 This stylish apartment is located in Brunswick, a trendy inner city part of Melbourne just 4km from the Central Business District (CBD). It is known for its artistic, edgy feel with street art, boutique stores making this a popular area with younger demographics. Sydney Road with its local eateries and great shopping is just 200m away – the perfect place to find friendly bars, neighbourhood restaurants and entertainment. 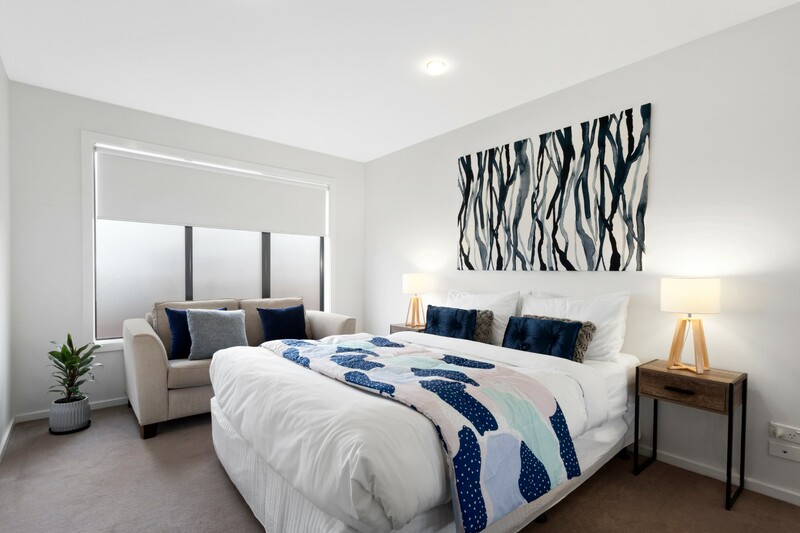 Served by excellent local transport connections, the apartment is within walking distance of Melbourne Zoo and Royal Park. Group restrictions - maximum of adults at the property. Great to be close to all the shops/cafes in Brunswick and public transport access. We did love the apartment and the location. Thank you! 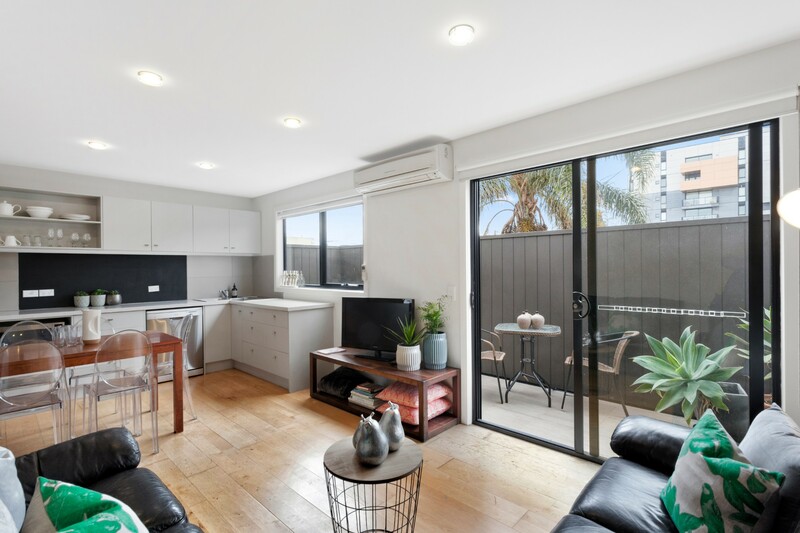 Overall it was an excellent apartment and as we are looking to purchase a similar style property, this place certainly set the type of bench mark would be aiming for.